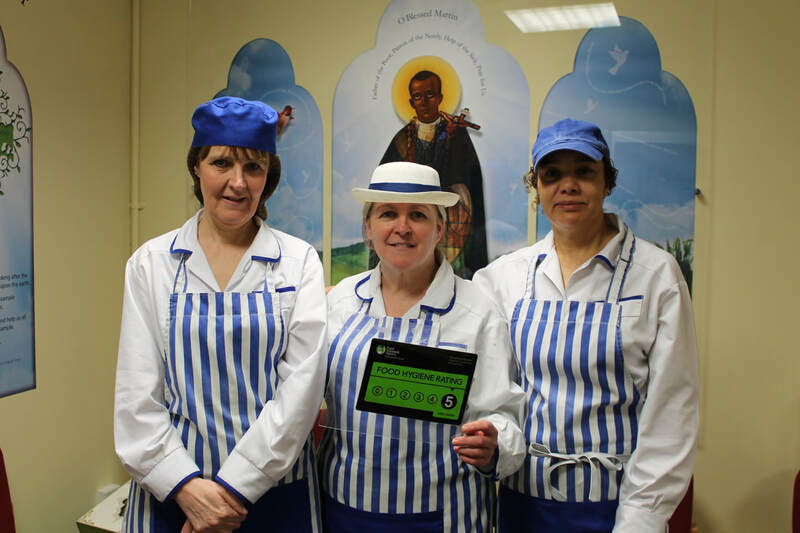 We are proud to inform you that following its last inspection of our catering facilities, on 16th November 2018, The Food Standard Agency has maintained our kitchen's rating for Food Hygiene as 5 - VERY GOOD. ​You can also get up to date information about food hygiene and environmental health by logging on to Birmingham City Council's website. Our nutricious and tasty school dinners are still only £2.30. This totals £80.50 for the half-term. Payments can be made at the school office on Monday, Tuesday or Wednesday of each week. To support parents, if debts accumulate to any more than £50, we will inform you and your child will need to bring a packed lunch to school until the debt is reduced/cleared. If you think that you may be entitled to free school meals, please see Mrs Sullivan. Many thanks. ​Fridays at St Martin de Porres are “Pizza” Fridays – all children are invited to have a pizza lunch which must be booked and paid for in advance.